Teams is more than Microsoft's answer to Slack. Microsoft Teams was recently launched into the marketplace by the tech giant. But in spite of there being a lot of information available, there still remain misconceptions and confusion around what MS Teams will mean for businesses - especially those using Skype for Business already. So what exactly is Microsoft Teams? Essentially, MS Teams is the evolution of the Skype for Business solution, whereby those features which previously did not perform so well (notably, the voice element and PBX) will be tried to be improved upon and delivered under the new umbrella of Microsoft Teams. Sounds simple enough, right? A rebrand, an improvement to service and that’s it, done! Not quite. Because of Skype for Business’ integration into the way many businesses work, there is recognition amongst the teams at Microsoft that adoption won’t be immediate. Add to that the complexities around exactly what Microsoft Teams does compared to Skype for Business, and you can see how so many misconceptions have arisen following the original statement at Ignite Conference back in October. Despite the variety of misconceptions, the reality is that both Teams and Skype for Business will continue to offer businesses a valuable communications solution, with benefits, flaws and alternatives for each. Here, we debunk some of the most common myths around Microsoft Teams and Skype for Business. One of the key misconceptions relating to Microsoft Teams is that Skype for Business will disappear altogether. This is simply not true. When Microsoft replaced Lync, they took the best of Skype for Business and Lync and in effect rebranded Skype for Business on top of the Lync product. They did not abolish or replace the Lync infrastructure. In the same way that Skype did not abolish Lync, Teams will not take over Skype, but will simply be Microsoft’s improved version, complete with a fancy rebrand for maximum appeal! The updates announced at the Ignite conference were that all communication features from the Skype for Business client will be integrated into Teams. The Teams client will then become the core communications client for Office 365 users, just as Skype was before. This move ensures a range of new capabilities for the Teams client such as voice over IP (VoIP), conference calling, call transfers and connectivity to phone networks, without the loss of existing Skype capabilities. However as the next section goes on to explain, if your solution is provided by a hosted supplier you still will keep your Skype for Business client. Just as Skype for Business won’t be usurped by Teams, nor will the server support for Skype be lost in the change. During the Ignite conference, Microsoft announced that not only would they continue to support the Skype for Business server, but a brand new server will be released in the second half of next year. This is in recognition of the fact that bigger businesses will not simply move over to Teams straight away, so expect ongoing support for Skype for months, even for years to come. So if you are using a hosted supplier you can continue using Skype for Business indefinitely. Another element of the new Teams product that’s faced scrutiny are third party integrations of Skype - namely, unified communications (UC) solutions. The benefit of being able to use Skype for Business via a provider other than Microsoft has always been that the PBX element of the MS offering was weak - meaning voice capabilities too were weak and often unreliable (not ideal for business communications!). That’s why companies such as VIA have developed their own integrations, meaning they’re able to provide a version of Skype for Business that utilises the functionality of Microsoft’s product, but which enhances that with improved performance and additional elements such as advanced call routing and contact centre functionality. The misconception that this will no longer be possible with Microsoft Teams is incorrect, and not helped by the numerous and inaccurate “Microsoft is killing Skype” headlines. It is true that, right now, third parties won’t be able to utilise Microsoft Teams as they do Skype for Business, because that integration isn’t yet available, but this will start to change in the second quarter of 2018. Microsoft has confirmed it will make that integration possible in the coming months, so it’s only a matter of time before hosted providers can offer both Skype for Business and Microsoft Teams as part of their solutions and for customers to choose one over the other, depending on their preference. There are people who suggest that Teams is Microsoft’s answer to Slack, the very popular instant messaging service being favoured by many businesses now in aiding immediate communications both internally and externally. While Teams, like Skype for Business, does offer IM functionality, it is only a part of the overall product. To suggest Teams is an imitation of Slack would be like saying a hairdryer is an imitation of the entire Dyson range - it’s simply not the case. Microsoft Teams’ offering will much better mirror that of the existing Skype for Business product. Teams is being developed to match some of the Unified Communications features that Skype for Business already benefits from and eventually including voice functionality. The main upgrade relates to the voice element, which we expect to see further improved in the coming months as Microsoft prepares for much wider adoption. What does Microsoft Teams mean for Skype for Business customers? 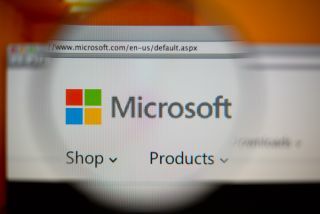 Right now, any customer buying Skype for Business direct from Microsoft should expect to be migrated on Microsoft Teams over the coming months, as Microsoft favours that solution over its predecessor. For those using a third party supplier - with, as described earlier, enhanced functionality beyond that of the core Microsoft offering - the change in solution will come down to choice. Microsoft will still be supporting Skype for Business for its third party integrations, meaning that if you are using a UC provider, you won’t lose any functionality or performance, or experience any change unless you ask to. Should you wish to do so, Microsoft Teams will likely become an option from your third party supplier, providing the functionality is indeed found to be improved from that of Skype, and better than the features already provided by the third party. The integration for third party platforms with Teams is likely to become available later in 2018. The roadmap that Microsoft launched during the Ignite conference for the new version of Skype for Business server means Microsoft are doing the contrary to killing it - they’re showing that they’re supporting it long term, as well as developing additional infrastructure.